Have you ever been to the opera? I know, you think it's stuffy and formal and only for rich, white people of a certain age. You're wrong. They smell better, they're better at sensing temperature changes and they can handle more pain. These are just a few of the actual differences between redheads and the rest of us. But while having red hair does come with certain advantages, there are more than a few disadvantages as well. In the late 1800s, Italian immigrants moved into the Wooster Street area of New Haven, bringing with them the flavors and music of their homeland. This weekend, the city celebrates its Italian culture with a new event called Opera-Palooza. The music of women composers will be featured in several concerts this week. 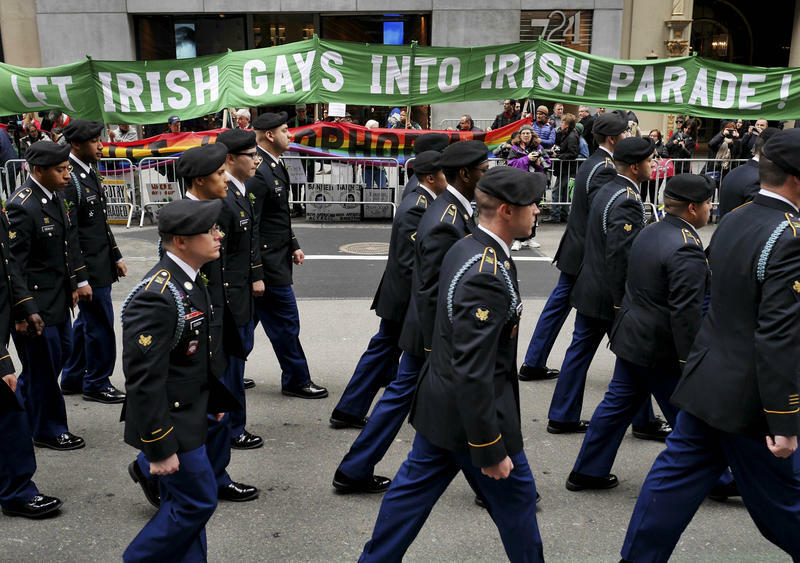 New York Mayor Bill de Blasio says he will march in the city's St. Patrick's Day parade, ending his two-year boycott over a ban on LGBT groups. NPR's Hansi Lo Wang tells our Newscast unit that the mayor's decision comes after organizers allowed a new group to march in the upcoming parade. New York's is the largest and oldest St. Patrick's Day parade in the country. Troy Andrews has been playing the trombone since he was a boy, which is how he got the nickname he still uses: Trombone Shorty. This week, the New Orleans native is coming to UConn to perform. The executive director of the Beacon-based non-profit Hudson River Sloop Clearwater has resigned. His resignation comes just one week after Clearwater announced it was cancelling its annual music festival. The Latino and Iberian Film Festival opened Wednesday at Yale University with scheduled screenings of about 50 movies. At one of the state's oldest fairs this weekend, farmers and 4H-ers kept history alive in the fair’s annual working steer competition, where both teens and adults competed to navigate their oxen through a series of challenges. The largest fair in the Northeast opens its gates to the public Friday morning in western Massachusetts. 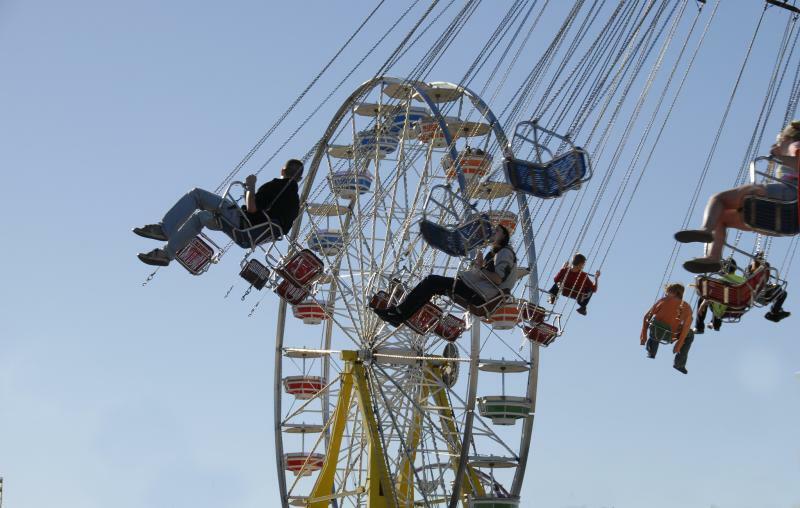 The Big E has set attendance records in each of the last three years making it the fifth largest fair in North America. The fair, which will mark its centennial next year, has stayed true to its roots as a showplace for New England agriculture and industry, according to Big E President Gene Cassidy. For the 33rd year in a row, a collection of classic cars will start their engines in the Lime Rock Historic Festival. The annual event attracts thousands of people to the racetrack in Lakeville, Connecticut. When Avery Sharpe, the standout standup jazz bassist, was a little boy growing up in the still segregated South, he’d often tag along with his mother, a gifted gospel pianist and devout member of the Church of God in Christ, when she played sacred music everywhere from emotionally powerful services in sanctified churches and tabernacles to fervent tent revival meetings. 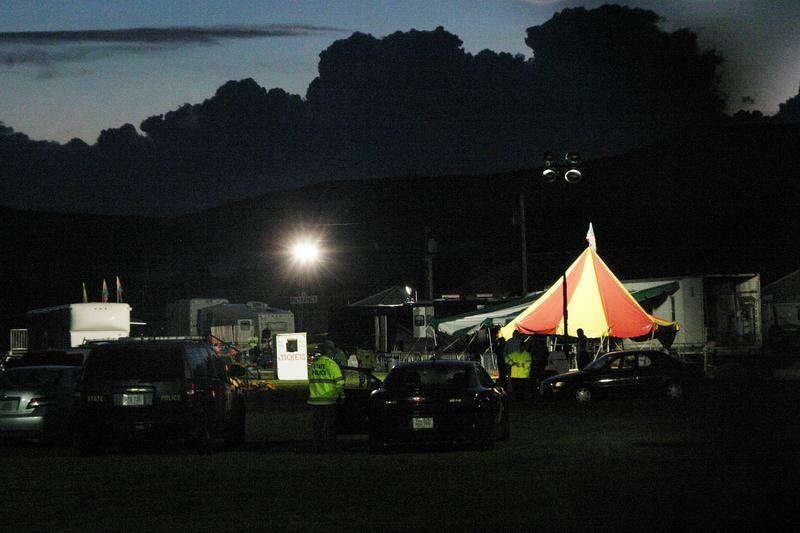 State officials will be investigating Tuesday whether a circus tent at the Lancaster fairgrounds that collapsed in a storm Monday evening - killing a father and daughter - was properly set up, State Fire Marshal Bill Degnan said. Gov. Maggie Hassan is asking anyone who was there to reach out to the fire marshal's office. With heartfelt devotion, drummer/composer Dan Brubeck pays tribute to his parents, the pianist/composer Dave Brubeck and the lyricist/librettist Iola Brubeck, with his new, consummately crafted, unpretentious release, Celebrating the Music and Lyrics of Dave and Iola Brubeck. Miles Davis, the innovative trumpet genius, and George Wein, the visionary festival producer/impresario, were not exactly as close, say, as Damon and Pythias, what with the seemingly inevitable bumps and disagreements that popped up now and then over the long, fruitful friendship and professional relationship between these two titanic forces in jazz. Thousands of Muslims in Connecticut visited mosques around the state last Friday to celebrate the end of Ramadan. The holiday is called Eid al-Fitr, a joyous celebration of prayer, gift-giving, and community gathering, that entails feast that can last up to three days. Summertime concerts at big venues in Hartford often mean underage drinkers. To help combat the problem, the Hartford City Council just accepted a federal grant to pay for police overtime. It’s not often that you run into Batman and Princess Leia in the same day. This past weekend the comic, sci-fi and anime stars aligned as the Connecticut Convention Center hosted the 12th annual ConnectiCon. Thousands crowded into three venues throughout Hartford for a four day series of panels, workshops, and geek-studded events. Willimantic's unique Independence Day "Boom Box" parade is celebrating its 30th anniversary. The Berkshires is known for many things: its quaint, rural towns, its serene trails, and its rustic restaurants. But in addition to all of that, it's also a hotbed for creativity. A place where emerging artists hone their craft, and museums, theaters, and festivals abound. There will be remarkable musical event next Sunday, May 24, at the new downtown Infinity Music Hall and Bistro in Hartford. The 2015 Women Composers Festival of Hartford is underway at various locations in the capital city. For the 14th year, the festival has highlighted and promoted the work of women composers past and present. Paris sculptor Tatiana Trouve agreed to do a major public art installation for Central Park, which is opening now and involves miles of colored rope. Now we have a mission for you… design a store for children with objects or a playscape that will entertain kids and adults, and make them all say "Wow!" walking in the door. This is the season of events, fairs, festivals, theater, museum shows, art happenings, music performances, and more. We open the phones for your tips, and we have some too. 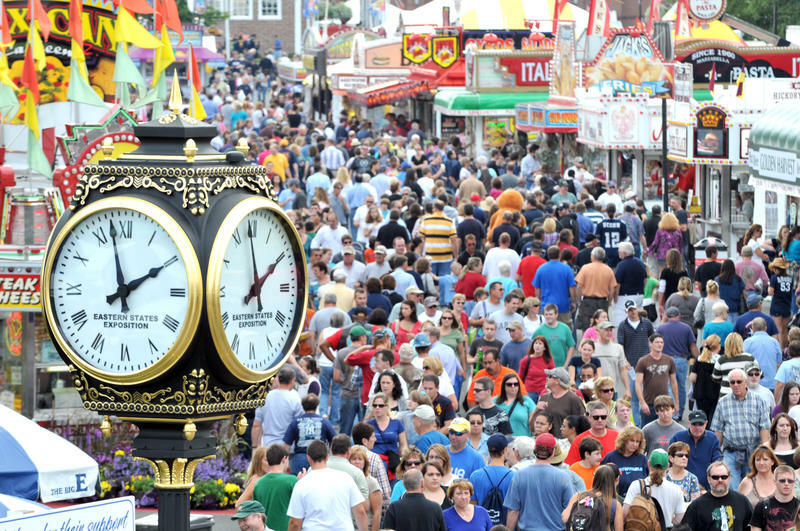 The state fair season is approaching and details have been announced for the largest fair in the Northeast. The Big E in West Springfield, Massachusetts will include an exhibit on the 50th anniversary of the New York World’s Fair. Entertainment headliners include ZZ Top, Darius Rucker and Little Big Town. New fun foods and different concessions will be on the fair grounds. Big E President Gene Cassidy said last year’s record attendance of nearly 1.5 million people made it the fifth largest fair in North America. When Katie Perkins, 24, a country singer and East Lyme native, started performing with a band, it was sometimes hard to find country-friendly venues in the area. As part of a burgeoning country scene in the state, Perkins will perform Friday night in Somers at the Hartford County 4-H Fair, August 15 to 17. “With the wind at his back, he can sound like an ocean roar.” Using meteorological and oceanographic allusions fit for portraying a mythic hero, jazz critic Gary Giddins described the powerhouse pianist Harold Mabern, a life force on the jazz scene for more than half a century. When you think of Connecticut, bluegrass music may not immediately jump to mind, but there is a bluegrass scene here in the Land of Steady Habits. Starting on Thursday night, fans will gather at the Hebron Fairgrounds in Hebron for the Podunk Bluegrass Festival.